Black 2019 Mercedes-Benz CLS CLS 450 4MATIC® 9-Speed Automatic I6 I6. 23/30 City/Highway MPGBlack 2019 Mercedes-Benz CLS CLS 450 4MATIC® 9-Speed Automatic I6 I6. lunar blue metallic 2019 Mercedes-Benz CLS CLS 450 4MATIC® 9-Speed Automatic I6 I6. Recent Arrival! 23/30 City/Highway MPGlunar blue metallic 2019 Mercedes-Benz CLS CLS 450 4MATIC® 9-Speed Automatic I6 I6. Iridium Silver Metallic 2019 Mercedes-Benz CLS CLS 450 4MATIC® 9-Speed Automatic I6 I6. 23/30 City/Highway MPGIridium Silver Metallic 2019 Mercedes-Benz CLS CLS 450 4MATIC® 9-Speed Automatic I6 I6. lunar blue metallic 2019 Mercedes-Benz CLS CLS 450 4MATIC® 9-Speed Automatic I6 I6. 23/30 City/Highway MPGlunar blue metallic 2019 Mercedes-Benz CLS CLS 450 4MATIC® 9-Speed Automatic I6 I6. Gray Metallic 2019 Mercedes-Benz CLS CLS 450 4MATIC® 9-Speed Automatic I6 I6. 23/30 City/Highway MPGGray Metallic 2019 Mercedes-Benz CLS CLS 450 4MATIC® 9-Speed Automatic I6 I6. 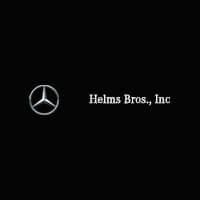 831 2019 Mercedes-Benz CLS CLS 450 4MATIC® 9-Speed Automatic I6 I6. 23/30 City/Highway MPG831 2019 Mercedes-Benz CLS CLS 450 4MATIC® 9-Speed Automatic I6 I6.